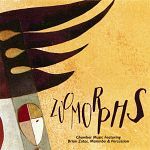 Dr. Brian Zator is an Associate Professor of Music and the Director of Percussion at Texas A&M University-Commerce, having joined the faculty in 2001. His responsibilities include the classical and marching percussion ensembles, the "Panimation" Steel Drum Band, “Samba Leão” Brazilian Ensemble, undergraduate and graduate applied lessons, and the percussion methods and literature courses. He earned his Bachelor of Music Education degree from Baylor University, Master of Music degree from the University of Michigan, and his Doctor of Music Art degree from the University of North Texas. He is also a student of world-renowned marimba artist, Keiko Abe, having performed and studied with her in Japan. 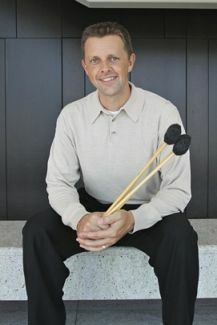 As a marimba/percussion soloist or ensemble director, Dr. Zator has performed at the Percussive Arts Society International Convention (PASIC), the Texas Music Educators Association Convention, the Texas Bandmasters Association Convention, the College Band Directors National Association Convention, the North Texas Marimba Workshop/Keyboard Percussion Symposium, as well as abroad in Brazil, Japan Australia, Switzerland, and Luxembourg. He has been a soloist with groups such as the Lone Star Wind Orchestra, the University of North Texas Wind Symphony, the Baylor Woodwind Quintet, the A&M-Commerce Wind Bands, the Conroe and The Woodlands Symphonies, and with college and high school percussion ensembles around the country. He made his Carnegie Hall debut with the A&M-Commerce Wind Ensemble in the spring of 2012. Dr. Zator is the primary keyboard artist for the Smartphone app, “Pocket Percussion Teacher”, providing instructional videos for marimba. He is also the author and performer on several iBook publications providing detailed video instructions and full-length performances for popular marimba solos including Yellow After the Rain, Rain Dance, Sea Refractions, and The Tempest. He was a member of The Cavaliers Drum and Bugle Corps and taught the University of Michigan drumline.Active within the Percussive Arts Society, he currently serves as the Executive Committee President-Elect. He has also served on the PAS Board of Directors, the Keyboard and Percussion Ensemble Committees, written reviews for Percussive Notes, and has adjudicated the PAS International Percussion Ensemble and Composition Competitions. Dr. Zator is proud to be a performing artist and clinician for Dynasty/Bergerault, Innovative Percussion, Sabian, and Evans.